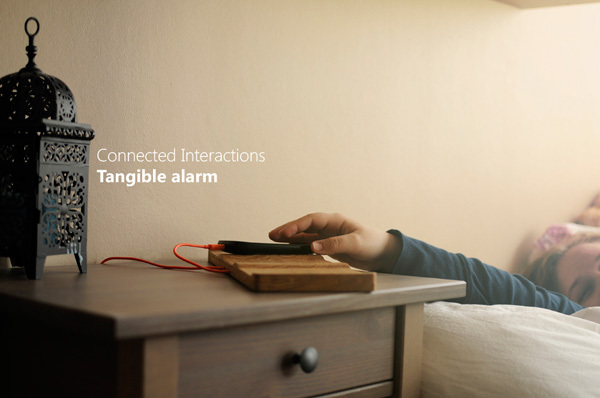 Most people use alarm in mobile phones itself. For such kind of people, this gadget is a useful accessory. 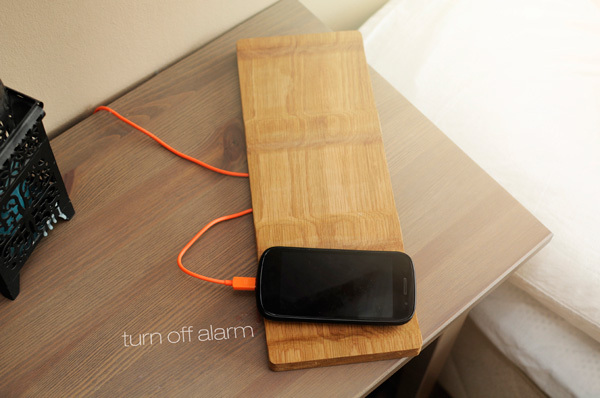 Because, this eliminates the need of touch screen interaction for turning off alarm or to snooze it. 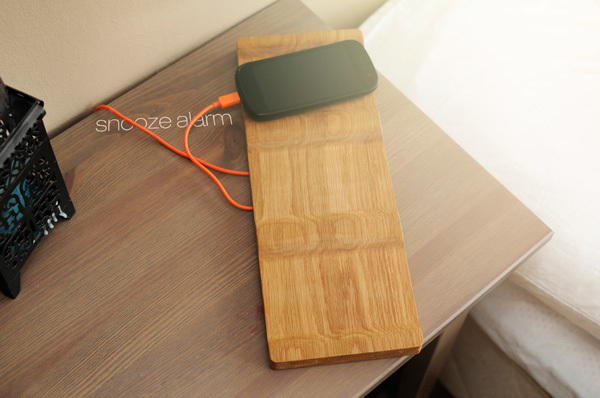 It look likes a wooden base to rest the phone, just plug your phone to it and set the alarm. 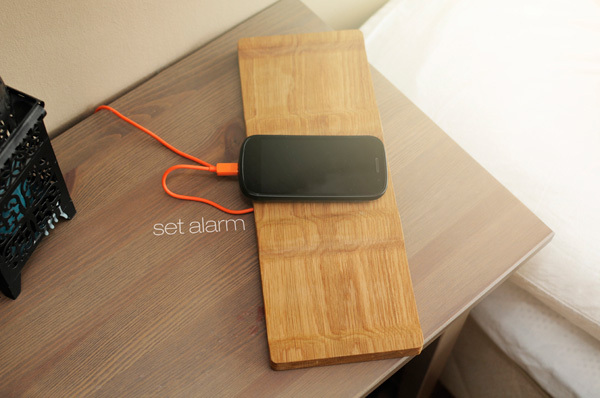 Upon the start of alarm sound, move the phone to the right platform to turn it off and move the phone to the left platform to snooze. As simple as that.